Guests can unwind in our deluxe rooms and suites featuring a host of signature amenities. 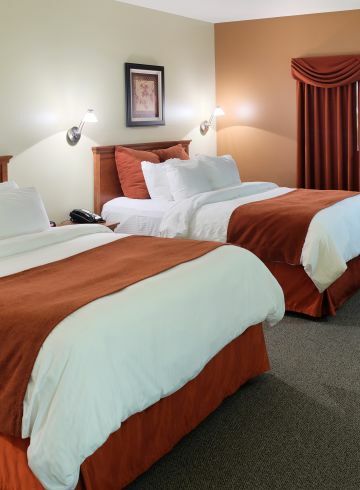 Our Ada, Ohio accommodations near Ohio Northern University encompass deluxe guest rooms with two queen-size beds or one king bed. 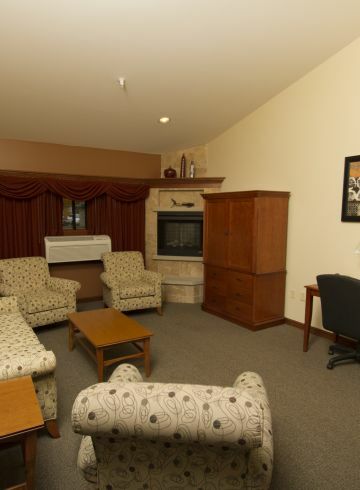 Indulge in one of our specialty rooms featuring a fireplace and Jacuzzi or spread out in one of our spacious one - and two-room suites for exquisite Ada, Ohio lodging. 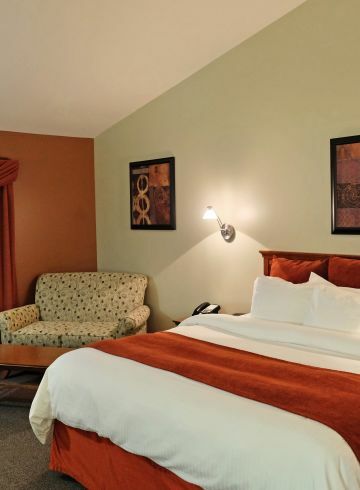 Our rooms include pillow-top mattresses, plush linens, and comfortable pillows. In addition, turndown service is offered each evening. Make it a restful night when you stay with us. Our room rates are flexible and vary based on seasonal packaging and group or corporate negotiations. Call for more information on our accommodations in Ada, Ohio: (866) 713-4513. Elegantly decorated, Queen Rooms will make you feel like royalty. Well-appointed and spacious, these Ada, OH accommodations feature two queen-size beds and all of our signature amenities. 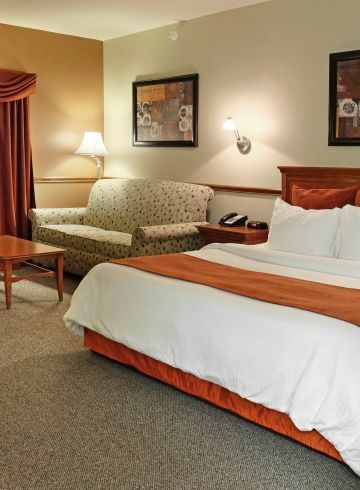 Treat yourself to an unforgettable hotel experience in our Ada, Ohio suites.